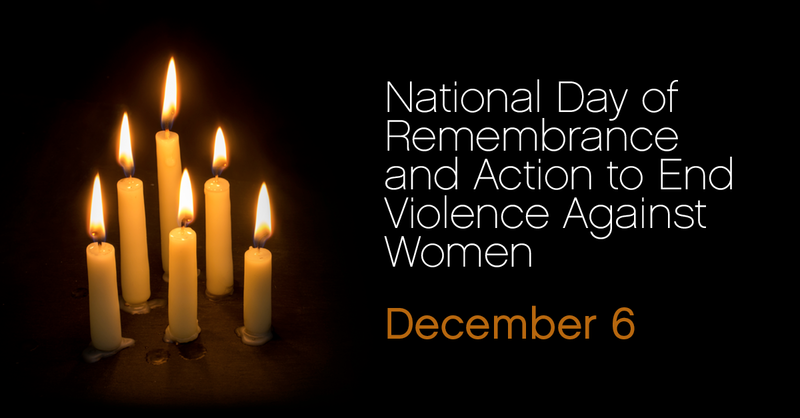 December 6 is the National Day of Remembrance and Action on Violence Against Women where we take the time to remember and honour the victims of the 1989 shooting at École Polytechnique de Montréal, where 14 women were targeted and killed by a lone gunman because of their gender. One of those women was Maryse Laganière, a CUPE member who worked at the school. We also take time honour and remember those in Manitoba who were killed by gender-based violence. Working with the Manitoba Association of Women’s Shelters (MAWS) we have compiled this list of Dec 6 events taking place across Manitoba (list not exhaustive). We encourage all CUPE members to attend an event in your community. * Please note that the Selkirk event takes place December 5. University of Winnipeg: No known events planned, the university will be illuminated with orange light in honour of the event. Brandon: Memorial table & interactive project, public encouraged to visit between 11am and 2pm, organized by the Brandon Women’s Resource Centre, 729 Princess. Selkirk: December 5. 11th Annual Community Vigil Walk. Leaving 6:30pm from the Selkirk Friendship Centre, arriving Civic Offices at 6:50pm. Organized by NOVA House and the Selkirk Friendship Centre. Thompson: Wall of remembrance, film screening. 11am – 4pm at the Thompson Regional Community Centre. Organized by YWCA Thompson, the Thompson Crisis Centre, University of Manitoba Northern Social Work Program. CUPE members in Manitoba work on the front-line in women’s shelters across the province fighting against gender-based violence, and supporting survivors. We honour their work, and continue to commit ourselves in the fight against violence against women and girls.